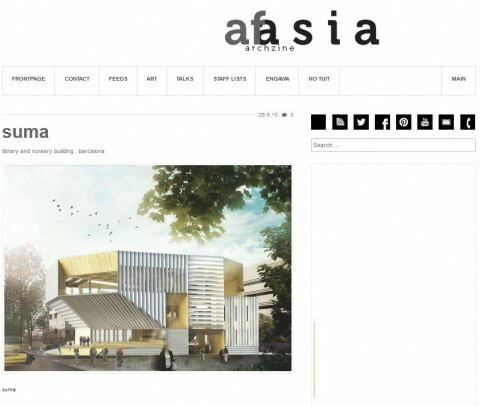 October 2015 – SUMA has been invited to give a lecture at Nebrija University with Jesús Donaire. 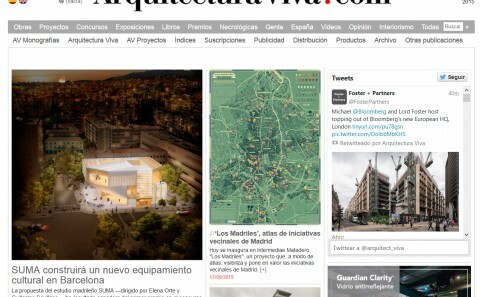 September 2015 – ARQUITECTURA VIVA website announces the new public equipment to be built in Barcelona. 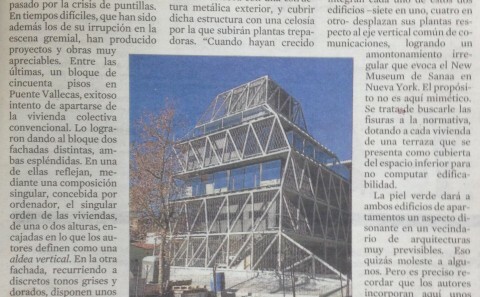 SUMA wins the first prize to develop the project of a Library and Nursery in Sant Martí, Barcelona. 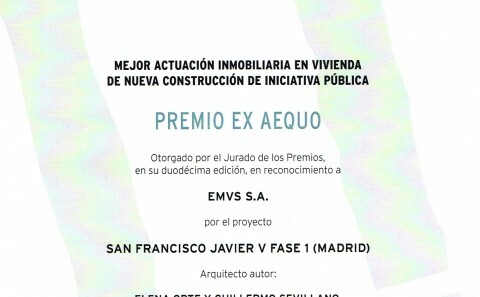 May 2015 – The building San Francisco Javier 5 for EMVS wins the ASPRIMA Prize for the best public residential building built in Spain in 2015. 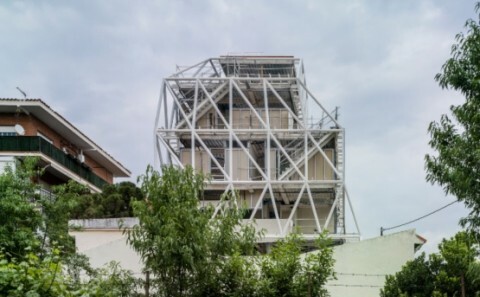 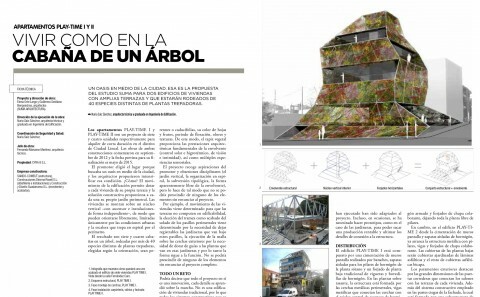 May 2015 – Anatxu Zabalbescoa has published under the title “Un Pueblo en Vertical” the 50 public housing building San Francisco Javier 5 in her blog “Del Tirador a la Ciudad” (EL PAIS newspaper). 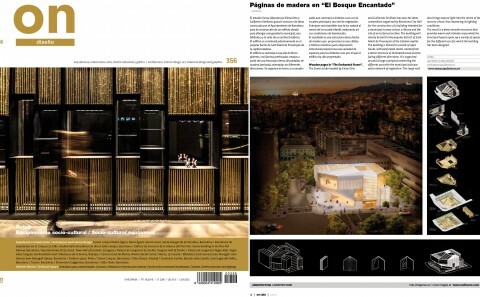 April 2015 – BIA magazine selects the Playtime apartments to show the building process in detail. 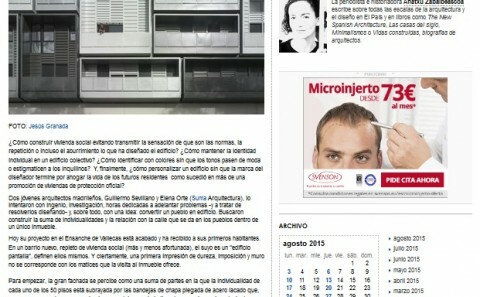 BIA nº284.